Bagalkot district is an administrative district in the Indian state of Karnataka. The district headquarters is located in the town of Bagalkote. 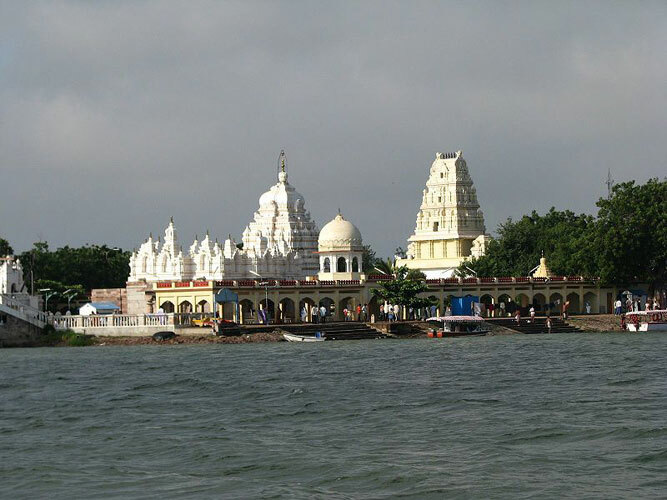 The district is located in northern Karnataka and borders Belgaum, Gadag, Koppal, Raichur and Bijapur. The new Bagalkote district was carved out of Bijapur in 1997 via Government of Karnataka directive Notification RD 42 LRD 87 Part III. The bifurcated Bagalkote district consists of nine taluks - Badami, Bagalkote, Bilagi, Hunagund, Jamakhandi, Mudhol, Ilkal, Guledgudda and Rabkavi-Banahatti. Historically, Bagalkote was the capital of the Chalukyan Empire of South India under Pulakesi I, who conquered the district in 550 CE. Bagalkot's Badami taluk remained the seat of the throne of the Chalukyas from 550 CE - 753 CE, when Chalukya king Kirtivarman II was overthrown by the Rashtrakutas. Remnants of Chalukyan art and architecture are important tourist attractions in Bagalkote. Pattadakallu has many UNESCO World Heritage temples built by Vikramaditya II, while Aihole, which lies on the banks of the Malaprabha River, is an important temple town with over 140 temples belonging to both the early and later Chalukya times. The cave temples of Badami Cave Temples and the Jain temples of Rashtrakutas at Lokapura and Bilgi are also famous. The climate is warm and dry throughout the year and rainfall is scarce. Bagalkot district receives the lowest rainfall annually in Karnataka. The average rainfall in the region is approximately 318 mm annually. The months of September and December account for about 52% of the total annual rainfall. Khushi Travels car rentals, cab bookings, rent a car or hire a car/cab provides best deals in town. Khushi travels focus on customer satisfaction by offering quality fleet of cars, affordable prices, and experienced chauffeurs. Above all we emphasize on safety and comfortable journey to your point of destination, we make your travel plan a pleasant affair. We take complete care of all your travel requirements, for our customers to enjoy hassle free journey we go that extra mile to bring a smile on our customers. Badami, Pattadakal, Aihole, Kudalasangama, Mahakuteshwara temple, Banashankari, Mudhol.